The new SS3 interface and ASM-X software have been completely redesigned through a combination of many years of experience and customer feedback. ASM-X now includes a resizable screen that will scale the content to make the best possible use of your screen real estate. The new main menu is easy to navigate with four options, Diagnosis, Mechnet (online and peer to peer collaboration), Customers and Configure. 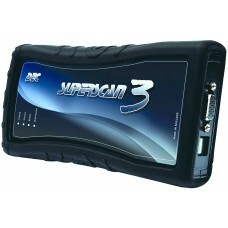 ASM-X - Completely New concepts in Diagnostic InteractionSPECIAL OFFER PRICE £1,495.00 FOR A FULL SYSTEM!!! Take advantage of this brilliant offer on one of the Worlds best Aftermarket Scan tools. Electronic Parking Brake reset and configuration..
- Browse all the contributions from users outside of ASM-X, just like a normal tech forum. Only for SS users. Contribute & learn from other technicians. - Add any knowledge Item (KI) you like to virtually any part of the ASM-X software. Answers from MechNet or just things you know or want to remember automatically. - Tag them to car models, ECUs or even to specific DTC's, Live Data streams or Coding configuration etc. - Save them just for your own use or publish them for every SS3 user to benefit from (all Knowledge Items may be moderator approved). Never forget a solution or ask the same question twice. - Fine tune ASM-X for your needs - great flexibility. - Resize the screen or scale it however you want. - Change measurements to those you prefer. - Automatic configuration of SS software modules and security codes when you are connected to the Net. - USB driver and Bluetoth port configuration is completely automatic. Save time - no configuration hassels. - ASM-X will remember every vehicle you have ever diagnosed from the VIN, the Number Plate or other unique data you enter - indefinately. Autodetection of vehicles and ECU's will be much faster. ASM-X will not search for ECU's it now knows are not on the car. - All the data from any diagnostic session you perform, can be stored by user choice - every DTC is stored automatically. - All the stored data is retrievable at any time in the future when you work on the same vehicle. Flexibility and speed - retrieve data to compare live on screen. Find faults quicker. Data is never lost and always available. User interface and software have been completely re-built, from the ground up,taking into account years of experience and feedback. Theuser interface is completely resizable and will also scale its content to makethe best possible use of your screen real estate. • Configure: Software & Superscan configuration. Last six diagnosed vehicles shown for direct connection to the vehicle,including a direct short-cut to the last ECU diagnosed on each of the cars. Adding a new vehicle is extremely easy, requiring the user to only select the manufacturer and write the VIN or an identifier such as thenumber plate for future reference. This simple task gives the possibility of maintaining the vehicle’s diagnosis history and reference values. Know exactly what your vehicle has. No guess work or bad calls involved. Launch a complete vehicle scan just once and the software will know what ECUs are present each time you go back and work with that particular vehicle, greatly reducing diagnosis time (eliminates auto-detection or manual selection on successive connections to any ECU). Carry out a Special Function without knowing in which ECU it should be done. Searching for Special Functions allows you to know where a Special Function should be performed, be taken directly to it and either perform it or learn more information about it. Everycode that pops-up gets recorded to the database AUTOMATICALLY, allowing you to see them even when they are no longer present in the ECU. View historicallyrecorded DTCs from previous diagnosis sessions, even months after the car has returned to your workshop. Take a snapshot of all available parameters and save them to the database if you wish. Later on, you can compare the saved values to others from the same vehicle or other vehicles with the same ECU. The software will highlight inreal time, the values that are different. Scrolling through an endless list of parameters? Search by text or by unit for theparameters you need to work with and directly start monitoring them. SS3 has all the Coding features that other scanners just can’t seem to achieve. One of the original featuresthat sets the Superscan apart. Save all the Special Function’s values into the database so you can compare them and see what has changed, or use it as guideline when configuringnew ECUs. You can also compare the values with the same ECU from other vehicles or even download them for comparison from DEC Automotive. Superscan 3 is developed and designed by DEC Automotive, Argentina and made and distributed by Maverick Technology (UK) Ltd in England.